I love the bag and those shoes are gorgeous! That's so sweet! My BF also has his bday tomorrow! I love your tan jacket. It's stunning. Happy birthday to the love of your life! Hopefully you have something special planned. :) I'm going to follow u on twitter. :) I'm "glitrnglobetrtr". that skirt...is GORGEOUS!! I love the layers! !and it goes so well with the shoes and coat!! great styling! smiling from your story. happy birthday to your love, awesome photographer, & best shopping partner. classic beautiful gold & black vision of loveliness outfit! I love you boots in this post, they are fabulous! I am SO envious of all the gorgeous shoes you have! I'm a bit of a shoeiholic as well haha. You look so pretty and chic. I'm loving this outfit. j'adorable coat and scarf! i hope the weather here gets too cold too so i could wear clothes such as those! I love every single thing you're wearing and you look amazing. oh i love what you wrote, its so sweet, great outfit as usual! Happy birthday to your husband and may your love last forever! And I'm very happy for you! Happy birthday to your love!!! Stai benissimo complimenti!!!!!! Bellissime le scarpe! Such a wonderful and touching post, it must be great to have a person by your side who's your love, best friend and a soulmate at the same time. Happy Birthday to your hubby! When it comes to your outfit, it's wonderful, I especially adore your coat. The colour is fabulous! Love the black and brown together - you look great! you look really cute love! Love the shoes, coat and bag! Ma BEATA te!! Lo possiamo clonare??? Auguri a proposito a questa perla d'uomo!!! Gorgeous outfit. I love your coat too, it is beautiful. have a great weekend and i followed you back dear! Wow, love the whole combination. Lovely look, and lovely coat. Kisses. Love your blog! im following you! aaaw he sounds like a really good man,wishing u both a great life ahead. PASSA DA NOI, C'è UN GIVEAWAY: LE COSE BELLE NON HANNO PREZZO, PARTECIPA E VINCI!!! Such a lovely outfit! Great describtion about your husband, this is so cool that he encouraged you to create your own blog, as my family as yours I see - they may know my mood by watching what I put on and what I wear. My dear (almost;)) husband is celebratring his birthday on monday so they're both scorpions =) I love your blog! Have a nice weekend, hugs ! beautiful booooots!with the sunnies and the coat: wonderful! I love love LOVE your balenciaga bag! And how sweet that your husband's birthday fell on such a unique date this year! wow amazing story and equally amazing outfit! Oh you are so pretty!! Your outfit is fantastic and Happy Belated Birthday to your husband!! I hope you guys a great day celebrating!! Thank you so much for stopping by my blog and following!! I love yours it's fantastic I am now following as well! i like your looks very much, they are inspiring and your blog is very nice, too! Gorgeous!!!! Love your look....Such a beautiful skirt/dress!!!! in love with your JC boots, gorgeous! You look amazing! Grazie mille per essere passata da me.. mi ha fatto molto piacere. Mi piace molto il tuo blog,e ti seguo volentieri. SPero che passerai di nuovo a trovarmi! belated happy birthday t0 y0ur husband! by the way, thanks f0r visiting 0ur bL0g. can we f0ll0w each 0ther??? Awwww, that's so cute! Congrats to the boyfriend and I love your scarf and shoes! 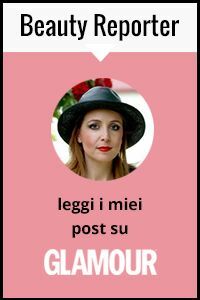 Mi piace il look, mi piace il tuo post, mi piace il tuo blog! W tuo marito che ha saputo incoraggiarti! I love those shoes and coat! Love the shoes! and that purse is amazing. I'm now following! I love your outfit! You look super gorgeous. What a beautiful and lovely girl!!!! Your style is always perfect!!! Your hubby is a lucky man!!! OMG!! Your camel coat is beyong perfect!! Thanks again for the lovely comment you left on my Blog! You look AMAZING and your blog is soo chic! I've already entered the Giveaway! =) I'm following you via Blogpot, follow me back? :) Thanks!! questa gonna è davvero stupenda! 11th November is "Remembrance Day" in the UK where we all wear poppies on our outfits and have a two minutes silence to commemorate all our soldiers :) That's why you keep hearing so much about it! Congratulations to your and your husband :) Gorgeous dress also! Ah che bella dichiarazione d'amore! E' incredibile in poche parole sei riuscita ad esprimere il tuo amore! Anche il tuo blog è molto carino e anche i tuoi outfit! Wow...beautiful dress...love it <3 would you like to be a follower of my blog? I like your Blog!! !